As a fellow small business owner, I know what it’s like to fire an employee - it can be pretty scary and unpredictable. No matter how you slice it, the day will come where you have to tell someone that you’re terminating them. But, with the correct preparation, you can make this unnerving experience a little less upsetting for both your and your employee. And what better way is there to demonstrate how to fire an employee than a fun, yet informative video? Having said that, I’ve found the perfect video produced by howcast.com which goes over the essentials for firing an employee. Take a look. Document actions leading up to employee’s dismissal. Let your employee go at the beginning of the week - it’s more considerate. Fire your employee in person. Have a witness close by as you terminate your employee. Ask your employee to leave once all matters are cleared with human resources (HR). Have someone shut down your employee’s computer access. Write down a detailed account of what happened. Drag out the termination process. Involve other employees other than a witness or an HR employee. Fire your employee over the phone or voicemail. Fire your employee close to the weekend. Related: Q & A: How Can I Transition to Better Hiring the Right Way? 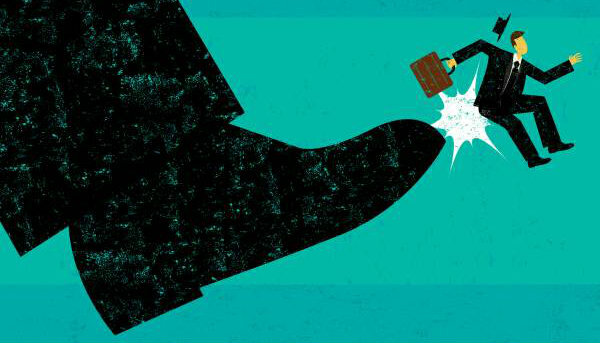 Though firing an employee is a nerve-wracking for both you and your employee, you can make it a smooth and uneventful process. If you follow the guidelines outlined in this video, you’re likely to have a better experience than some small business employers. And hey, maybe letting your employee go won’t be as bad as your thought after all. What question do you have about how to fire an employee? Comment in the section below.